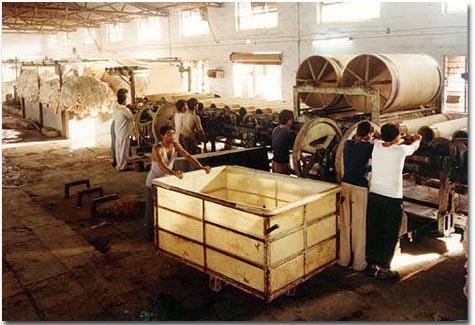 Prakah Print is a complete business house, having its own sister concern and associated companies who are also specialized in other fields like - 100% cotton Textile Processing, Dyeing, Printing, manufacturing Dyes and Chemicals, etc. 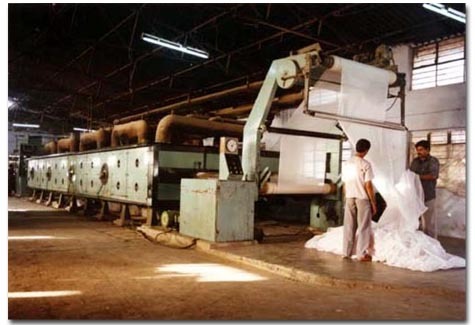 Our total Process Job (Conversion of Greige Fabric into Bleached Mercerised Fabric) is managed by our Associated Process House unit located at Rabarika in Indian State of Gujarat. The whole process is done by hand as well as state of the art Ultra-Modern Machineries like Hot Air Chamber Stenters etc. The Expertise in this stage acts as one of the most important Factor to achieve Guaranteed 99% back to back penetration in the 100% Cotton Fabric. We also in specialize PFP or (Processed For Printing) / RTP (Ready to Print White Bleached Mercerised Fabrics in in various Qualities and weaves like Dobbies, Jequards, Gassed Voiles etc. Currently we are exporting PFP Fabrics to China, Korea, Indonesia etc. For Optimum Printing Results and Color Value, the Dyes & Chemicals are sourced from one of our Dyes & Chemicals unit from Ahmedabad, that manufactures the needed Dyes and Chemicals as per the required parameters, that are needed for the Best Printing Quality.